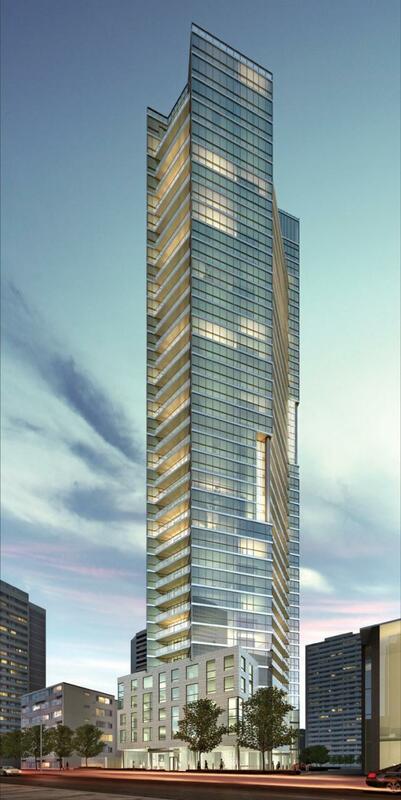 Toronto’s exceptional Yonge & Bloor neighbourhood will soon become even more exciting, when CHAZ Condos hits the scene. Fashion-forward design and magnificent views through its massive windows will characterize this new luxury condo coming soon to 45 Charles St E. CHAZ is the creation of 45 Charles Ltd and Edenshaw Homes Ltd. This 47 storey tower will be made up of 511 units, and is scheduled to be complete in 2015. Features include 10′ ceilings, upscale hotel-style lobby, landscaped private courtyard with BBQ deck, library lounge, high-tech gaming zone, state-of-the-art fitness facility, pet spa, and the Chaz Club on the 36th and 37th floors with breathtaking views. Conveniently located, Chaz is just steps to the subway, designer shopping, dining and culture in Yorkville. The developer is offering special incentives for a limited time, for its remaining inventory.